Welcome to the mindSPACE Lab! The mindSPACE Lab is dedicated to the research into and dissemination of knowledge of the human brain, with a focus on the aspects which give rise to our perceptual experiences. Our primary areas of research are fundamental visual system organization, visual adaptation and plasticity, and neurodegeneration. The tools we use for our investigations include magnetic resonance imaging (MRI), functional MRI (fMRI), diffusion tensor imaging (DTI), psychophysics, genetic assays, psychopharmacology, mathematical modeling, and surveys. The Primary Investigator (PI) of the mindSPACE Lab is Alyssa A. Brewer, M.D./Ph.D., a physician-scientist who graduated from Stanford University with degrees in Biological Sciences with Honors (B.S. ), Comparative Literature with Honors in Humanities (A.B. ), Medicine (MD), and Neuroscience (Ph.D.). Other laboratory members include postgraduate researchers, graduate students, and undergraduate research assistants, whose information can be found on the People page. Our subjects are human volunteers recruited from the University of California, Irvine (UCI) campus and surrounding communities for either course credit or a modest honorarium. We have also developed and actively participate in several educational outreach programs in the local community. On Oct. 14, 2015, at 10pm Eastern Time I will be featured on the new PBS documentary 'The Brain with David Eagleman'. The title of this episode is 'Messing with Reality'. Check out a clip at: PBS: The Brain, Episode 1. 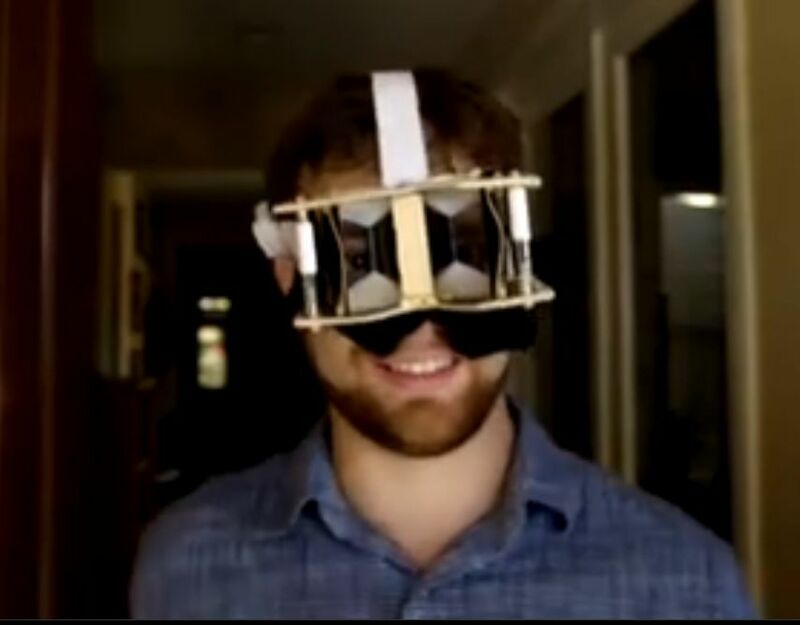 This part of the documentary focuses on a project from my lab at UCI that investigates how the brain changes in order to deal with an extreme alteration of visual input - a complete left-right reversal of the visual world! The filming was done in my house and in a hedge maze on UCI campus nearby with my friend and colleague Dr. Brian Barton in the vision-reversing prism goggles. It should be quite entertaining! Website designed by Brian Barton, Ph.D. Copyright 2013-2019 Alyssa A. Brewer, M.D., Ph.D. All rights reserved.